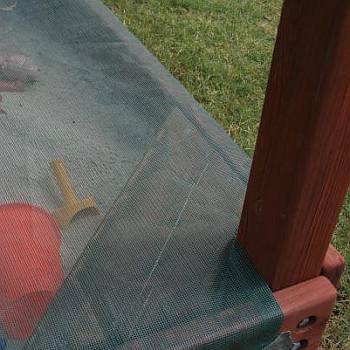 DIY Wooden Swingset plans you can Build in a single weekend. 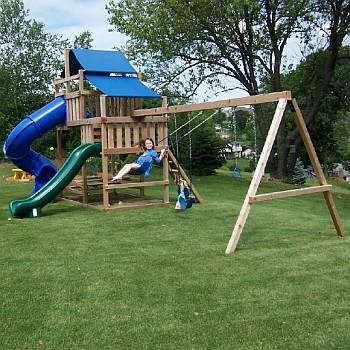 Our Wooden Swing Set Kits and Playset Kits and Plans provide you with perfect Do-It-Yourself projects that are SUPER EASY to build even with little or no carpentry skills. 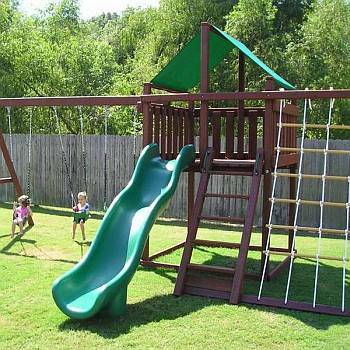 The result is a professional, SAFE, yet economical, playset that will satisfy your kids' needs for many years to come. Our goal is to help parents afford top quality playground equipment that is ROCK SOLID and SAFE, so the whole gang can swing and play on it. 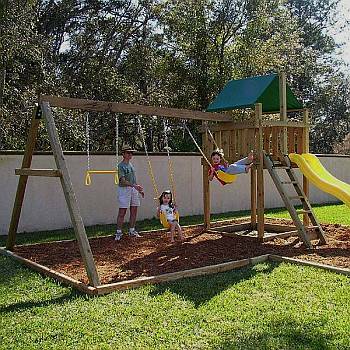 Swing set kits will bring family fun and excitement into your backyard. 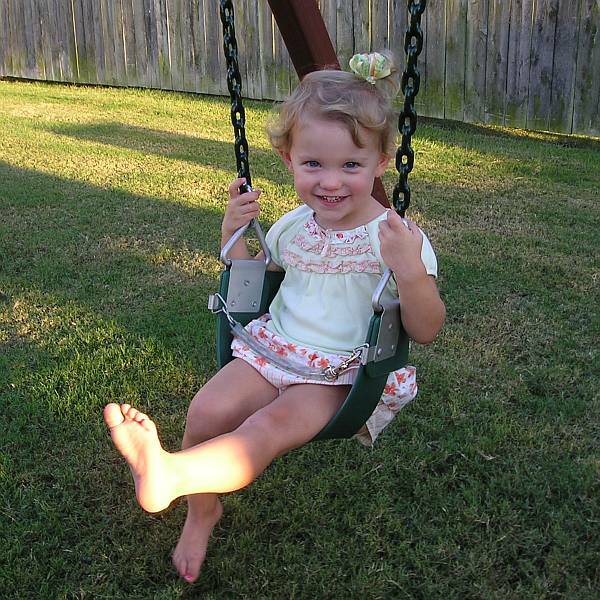 You supply the wood, we'll supply the Swing Set Plans and Hardware Kits! 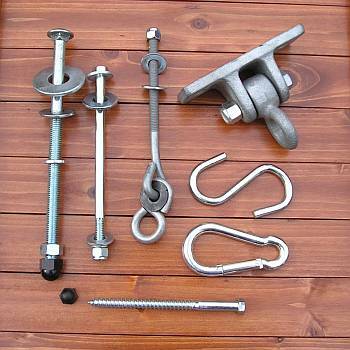 Hot-Dipped Galvanized hardware for superior outdoor rust and corrosion protection. 130% thicker than zinc plating. Every Nut, Screw, Bolt, Washer, & Lag included. 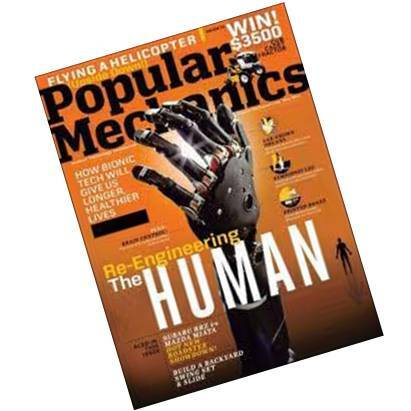 Additional hardware not required. 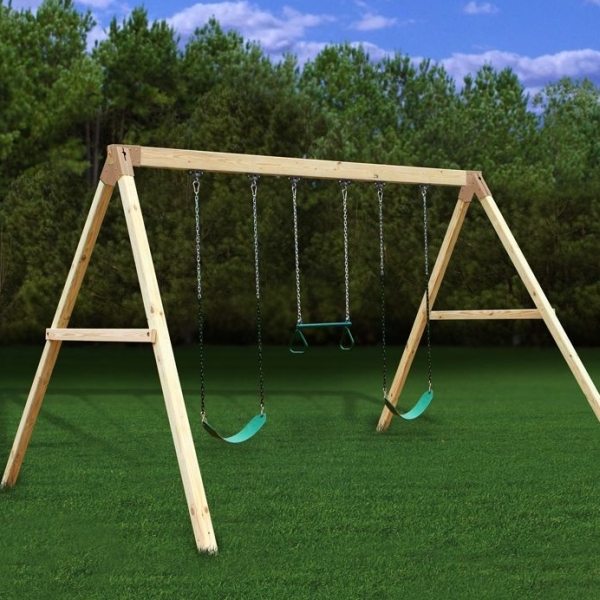 Easy to customize with other swing set accessories like tire swings, monkey bars, rock climbing walls, plan size changes and much more. 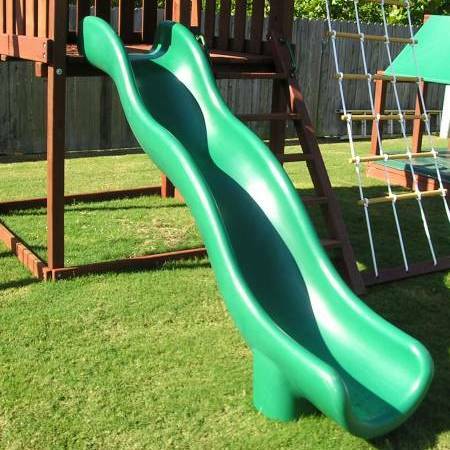 WOOD IS NOT INCLUDED. 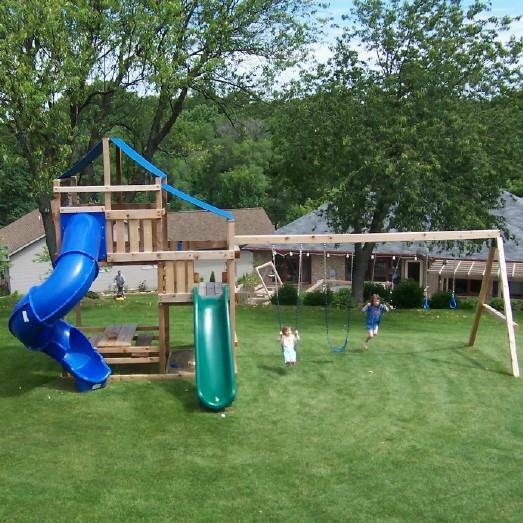 All kits include the heavy gauge bolts, screws, lags, nuts, washers, swings, swing-hangers, A-Frame brackets, etc., plus an easy to read set of 3D illustrated step-by-step playset plans. Only standard lumber is needed (2x4's, 4x4's, 2x6's, etc. ), available at any local home improvement center or lumber yard. 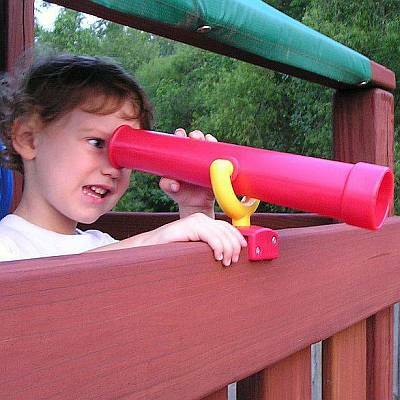 Customize your playset to be exactly how your kids want it to be. Easily change the height of the fort. Change the number of swing positions. 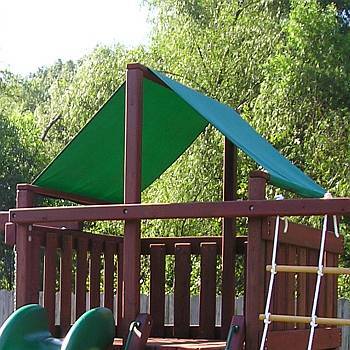 Any swing set kits can be quickly modified and there are many add on component options that you can install now or add to your swing set kit at any time in the future as your children grow. All of our kit designs, or add on play componenets, meet or exceed the residential playground safety standards set by the American Society of Testing Materials (ASTM) and Consumer Product Safety Commission (CPSC).